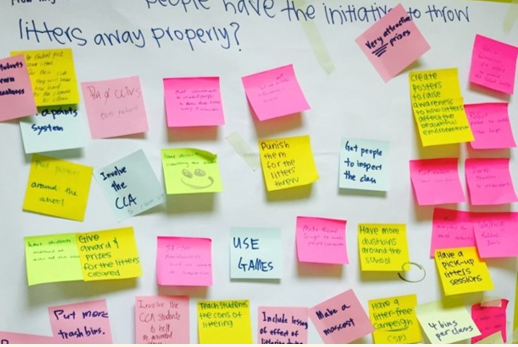 Design Thinking is a creative problem solving method which aims to develop students to be human-centered problem solvers, who are able to identify and solve complex problems by applying empathy, radical ideation and rapid prototyping of ideas. 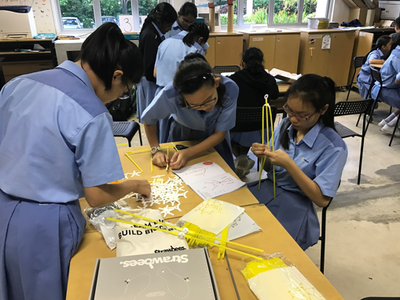 All Secondary 1 and 2 students undergo a compulsory Design Thinking curriculum to develop mindsets such as human-centeredness, bias towards action, radical collaboration and a culture of prototyping and experimentation. They also learn the Design Thinking methodology which they can apply to generate radical solutions to complex problems. 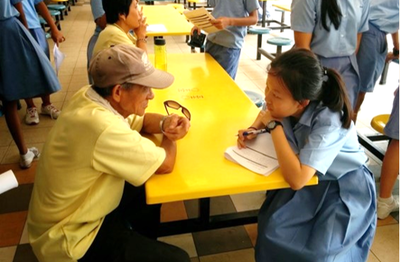 ​At Secondary 3, students apply their Design Thinking skills and mindsets to a Values-in-Action Project carried out with external partners. Maker Education has been infused into the school’s curriculum and in co-curriculum. All Instructional Programme (IP) Departments incorporate elements of Maker Education, e.g. in their alternative assessments. All Secondary 1 students participate in the Maker Ed Exposure programme during curriculum time to introduce them to making. 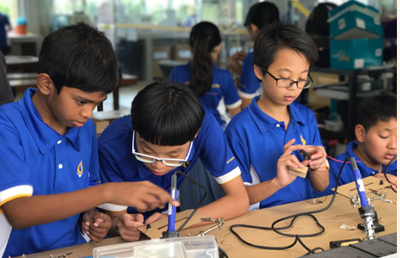 ​The school also provides students with the opportunity to learn through making on “Maker Thursdays”. During these sessions, students create personally-meaningful objects using a range of materials and techniques including cardboard, foam and 3D-printing technology. They also have the opportunity to pursue self-initiated Maker projects with the guidance of teachers.